Does your business have any online presence? Is this ‘little’ thing a sign that you are not taking your business seriously? 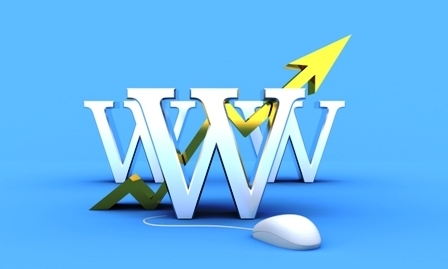 Having a website tells potential customers that you mean business. If you have a website and are willing to tell the world what you are doing, and how you do it. You are probably confident in the fact that you can deliver every time. 03.03.2014 - If you are confident enough to look for more clients online and even advertise, then it means that you have a well thought out business process that works and probably heaps of satisfied clients. A potential client may then think, “You are serious and I want to buy from you”. This thought process takes only a split second in the mind of leads who find your website, but it’s the one that makes them call you and ask for a quote. If you’re not going to advertise your services, who do you expect to do it for you? Everyone else is busy with their own lives. Even if you offer the perfect thing they won’t have the time to tell other people about it, at least, not as much as you would like. It’s incredible how having a good website online and appearing on the first pages of Google can give you a huge boost of credibility. Suddenly people feel that they can trust you, that in case something goes wrong they can at least find you somewhere, show other people where to find you. And, when they do have a great experience with your product or service, it’s that much easier to share your website on a short recommendation e-mail or in a tweet or Facebook post. It happens all the time, and without a website you are missing out on this. You have costs to worry about in order to keep your business floating, but not having more clients will hurt your business much more than investing in an online presence. Without a website you are just one other guy trying to make a living, but not a trustworthy provider, worth recommending. It sounds harsh, but that’s how it goes in the mind of the consumer and you’ve probably found yourself thinking in the same way at times. People want to buy from service providers who take their business seriously and are passionate about it. A website shows them that you mean business. A good website that shows up high in the Google results tells them even more, that you are passionate about offering the best service out there. So how serious are you, really? Gallery: Does your business have any online presence? Produced with news.CMS in 0,0854 seconds.